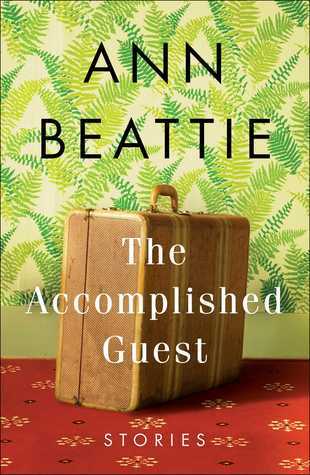 the accomplished guest | review – BOOKSACCINO. There are one or two good stories. The writing is beautiful too. It’s just that in a book with 13 short stories, you’d expect to find more things to like than “one or two”. You’d also expect the stories to be slightly memorable but I didn’t care at all for what was being said and I even had to skim through some parts of the book that even when I was trying to read them real hard, all I could see was “Blah blah blah”. I went into this book with such high expectations because I have read so many great reviews about this book and other works by Ann Beattie and I think that’s what made the book to be so underwhelming. I was going to abandon my reading of it at around the 5th short story but then it happened to be a story that I enjoyed (Other People’s Birthdays) and so I decided to continue but it didn’t get any better. Now of course I have a few possible reasons of why this book was not for me. no diversity. There is no diversity whatsoever. All the characters sounded the same: people from the upper/middle class that are financially okay whining about a few things. They all sounded unhappy and unsatisfied with how their life has become. They often forget what’s important and tend to focus on minor inconveniences which was so annoying and depressing. There are even some characters that sounded to be straight out of Donald Trump’s social circle!! So at a certain point, all of the stories started mixing up in my head and all of them were the same. how I couldn’t relate. Since many of the stories are about characters in their 50s, 60s and sometimes older, I couldn’t see myself in them… Aside from the few grand children youngsters that were so rebellious and so stereotypical and so not my thing. Sure, it felt somehow great how they might be thinking but in more than one occasion, I found myself not really caring. Now I think that I probably wouldn’t have thought this as a problem if the characters were more diverse, coming from different backgrounds and giving me different experiences to read about but this wasn’t the case. Everyone sounded (and was) American, rich, intelligent and not satisfied. where is the drama? No, not looking for crazy drama but just an interesting something here and there, no? Well, I admit, it has happened in a few stories and those I mostly enjoyed like “Other People’s Birthdays” and “The Debt” but there just wasn’t enough for me. It made the whole book so slow! I mean, I spent more than 10 days on about 300 pages and I’m on vacation… It has managed to slow all of my other readings too, how fitting! Perhaps the only two things this book has going for it is: the writing and the humor found in very few stories. The writing’s beautiful and I love Ann Beattie’s style to be honest. I just wonder if she’d written better stories with a nicer plot because I’d totally read that and would most probably enjoy it more! All in all, I’m not saying that I hated this book. It just wasn’t for me. When I read short stories, I usually expect fast-paced + action + different settings/characters in each story that will make it memorable but I didn’t find this in “The Accomplished Guest”. Maybe if you prefer more the slow-paced stories and you wouldn’t mind not getting attached to the characters nor the not-so-uplifting story or again, getting loads of action, then maaaaaybe you would enjoy this book. I personally wouldn’t recommend it as I was very disappointed. This book was provided to me by Scribner and NetGalley in exchange for an honest review. Pingback: Booktube-A-Thon 2017 // TBR – booksaccino. Pingback: REVIEW: PURPLE SWAMP HEN AND OTHER STORIES, PENELOPE LIVELY – BOOKSACCINO.